Saving cold hard cash, who isn’t excited to read about a way that you can save money! All small businesses are seeking increased profits, and one way to do that is to cut down on costs. Heres a neat way that you might not have considered. When you think about renting something, the first thing that probably comes to mind is that you can’t afford to purchase whatever it may be that you want to rent. You may though, be surprised (hence the title of this post) to learn that renting – printers, in this case – can actually save a business cash. Here are some reasons why that is the case. If you’re particularly unsure of a printer’s worth then renting can be an excellent way of giving something a “trial run”. Think of it like a test drive. You can get to grips with all the printer’s functionality – what it can do, what it can’t do – in order to provide you with an informed decision of whether you want to continue to rent the product, ditch it or even purchase it. Renting printers offers you the flexibility of being able to trade-in – or upgrade – to the latest model when it becomes available. Which, in turn, saves you the agro of selling or disposing of an old printer and the cash of splashing out on a new one. This is the case, even with models like the Canon Image Runner. Because you are essentially hiring a service when renting a printer, any repairs or unexpected problems should be covered by the company you made use of when taking out the printer – sparing you of any additional charges that come from purchasing an item. In some cases, there are tax benefits to renting office equipment. Operating a lease or rental can be tax deductable for the full cost of the term as part of a business expense – meaning that it won’t cost you anything! Now, that is saving money! As with repair costs associated to maintaining a printer, similarly, installing one and connecting to all the stations and devices you require may set you back another chunk of your budget. This is rarely the case with renting. Now you’ve saved all that cash on your printing solution, you can afford to splash your cash into other, more important, areas of the business – how about a year’s supply of coffee and biscuits? Sounds good to me. About the author: Matthew Wood is a regular blogger and content writer who likes to bring a bit of creativity and flair to his writing – while attempting to be remotely informative. Matthew can be found on a number of social networks, including Twitter @MattWood23. Renting a printer is a great idea. I hadn’t thought of this. But now I see there are so many reasons to do so. I gave up printer ownership for a while out of frustration, as the ink costs were high and I seemed to have terrible luck with printers jamming and otherwise in need of repair. When I did need printing — which was pretty rare — I went to one of the many office supply stores in the area. I found I was saving quite a bit of money that way. If my printing needs increase and/or I want the convenience of having a printer close by again, this is something I will look into. Hi Phyllis, that’s actually a very good point, if you rarely print anything and live/work close the town then there are usually a few printing companies who will be able to print off the work for you. One thing I like about the big proper office printers is that they are a scanner, fax machine, photocopier and printer all in one! Some of the smaller machines are also offering similar features, I personally use one like this http://goo.gl/8SBpp4 and have to say it’s been excellent. The scanning feature has come in *very* handy! As Phyllis notes, it all depends on the printing volume you do. Yes, the big machines can be all-in-one behemoths. But so can my $100 inkjet printer/scanner. I don’t print a lot of things these days; but I find the copy shops to be wonderful resources for those big projects that pop up occasionally. Very interesting! I would have never thought of seeking this as an option. However, you have made it clear why this option is terrific for small business. Whether at start up or during daily operations, running a small business often takes more time and money than expected. 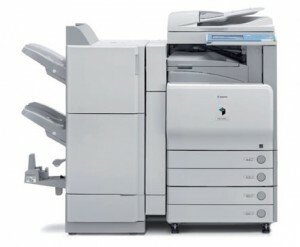 Being able to rent office equipment is an excellent option for those companies on a tight budget. I am curious though – how would you go about renting? Is this a manufacturer option or an office supply store? Also, what about smaller printers for home offices? Thanks for a well written and interesting article! An interesting question. The link in the article body is a third party store who specialise in leasing printers. I’d assume that there would also be an option to lease direct from the manufacturer, but would bet that they have a minimum order to ensure they aren’t wasting their time.